Sydney property investors are abandoning hip inner suburbs like Alexandria, Redfern and Erskineville for similar locations in Melbourne where new apartments are up to 40 per cent cheaper. Joel Spencer, who runs design agency JSD, was one of 18 Sydneysiders who bought apartments off-the-plan in a new Pace development in rapidly gentrifying Collingwood in Melbourne’s inner north east. Having sold his Sydney apartment a few years ago, he had intended to buy a house, but found he could not keep up with rampant price growth. “I put things on hold, rented a unit in Mascot and waited, but the market just kept on going up,” Spencer told Weekend AFR. Growing increasingly frustrated, he went to Melbourne over Christmas intending only to do some research and explore a few suburbs, but ended up buying an apartment off-the-plan in a well-designed development he liked. 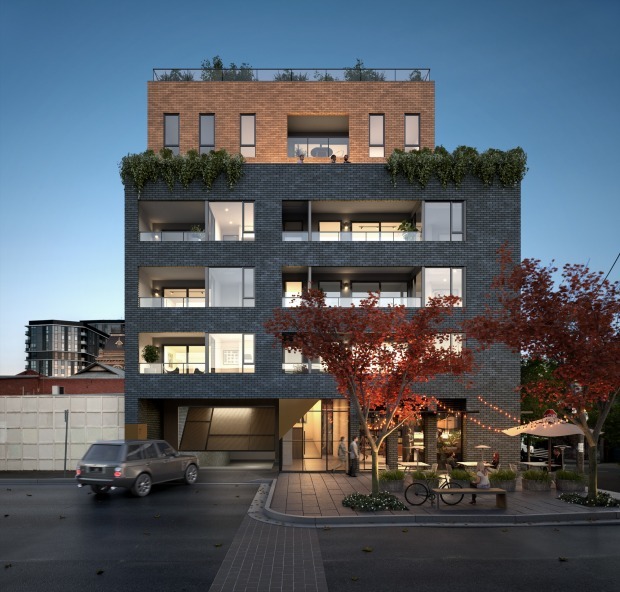 Spencer paid $465,000 for a 70-square metre one-bedroom apartment with a car park and storage space in ‘Pace of Collingwood’ a 79-unit development surrounded by cafes and restaurants and just a short-tram ride from the CBD. “I had a look at a similar development going up in Redfern and a 44 sq m apartment without a car park was being advertised for $750,000,” says Spencer. It’s not just Sydney investors who are buying in Melbourne. Two of the buyers in the Pace development were Sydney couples who have chosen to uproot themselves so they can continue their inner-city lifestyle in an apartment they own. Pace managing director Shane Wilkinson said the number of sales to Sydney buyers in Collingwood came as a complete surprise. “We usually only sell a couple to Sydney buyers. “We didn’t do any advertising in Sydney at all. It’s just price which has been driving this. You can’t get an apartment in Sydney in the $400,000s,” he said. However, Wilkinson warned that the Victorian government’s recent decision to wind back off-the-plan stamp duty concessions for investors from July 1 as well as the new taxes imposed on foreign buyers last year could impact on demand going forward. “It’s going to be an interesting year,” he said. Spencer has decided to keep renting, save more money and hopefully use the equity in his Melbourne investment to buy again in Sydney. He said he was unaware of recently announced changes in Victorian which will end a lower rate of stamp duty for investors in off-the-plan flats but he said it might sway him against buying in Melbourne again. “The way stamp duty is structured in Melbourne, where it’s only calculated on the land value, it’s a loss less than you have to pay in Sydney,” he said.